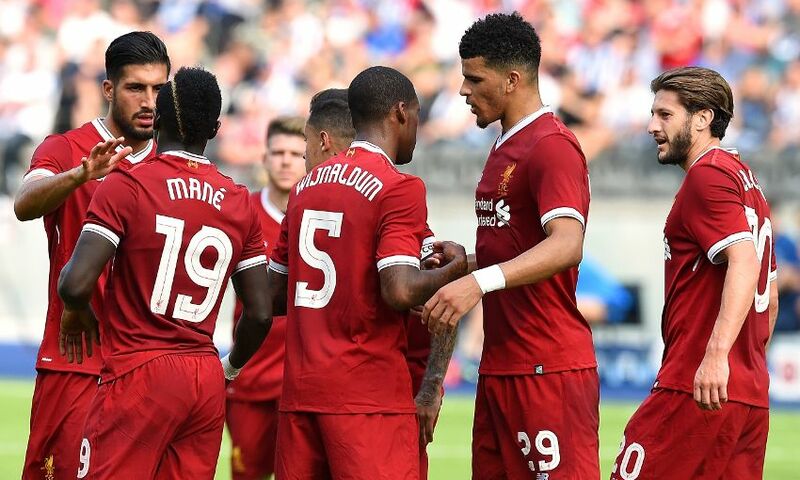 Liverpool cruised to a 3-0 victory over Hertha BSC in their latest pre-season friendly at the Olympiastadion on Saturday evening. Dominic Solanke put the Reds into a 15th-minute lead in Germany when he nodded Adam Lallana’s cross home from six yards out. Georginio Wijnaldum then furthered the advantage by sliding in a low effort from the edge of the area before the break. And Mohamed Salah came off the bench to grab a third with a composed finish just after the hour following a delightful Philippe Coutinho through ball to cap off a fine workout for Jürgen Klopp’s charges. The pre-match team news confirmed returns to action for Sadio Mane and Emre Can, with both included in the starting line-up. Meanwhile, Andy Robertson was on the bench, while Coutinho was named as captain. Liverpool did suffer a blow, however, with Divock Origi needing to pull out of the XI due to a tight hamstring. Solanke replaced his fellow forward. Prior to kick-off, a number of events took place in and around the venue to mark the 125th anniversaries of both clubs at Berlin’s Olympiastadion. On the pitch, Simon Mignolet was called into action after just 10 minutes when he was required to react sharply to keep out Vladimir Darida’s powerfully-struck snap-shot from a half-cleared cross. However, Liverpool ensured it was they who grabbed the early initiative when Solanke’s move into space was picked out by a lofted cross from Lallana. The young forward did the rest, heading beyond Rune Jarstein from close range for his second goal for the club. A further goal should have followed moments later when a combination of persistence and fortune allowed Mane to find space inside the area; however, his left-footer was skewed over the crossbar. 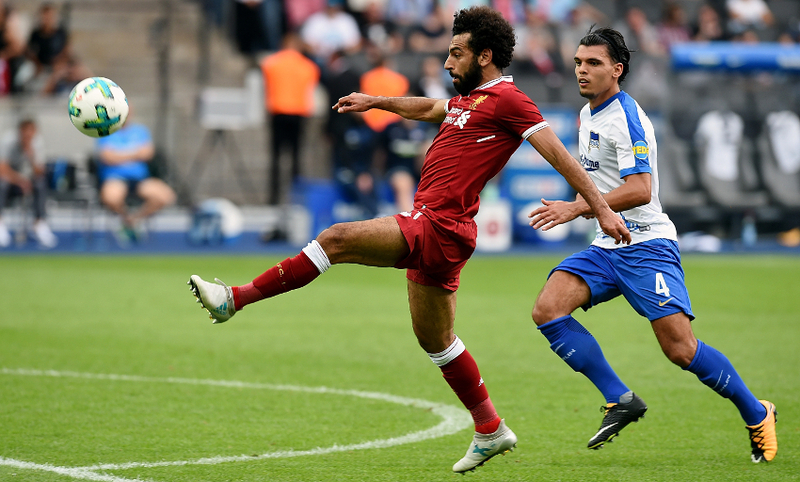 The Reds were in control of proceedings, but Hertha threatened a leveller when Mitchell Weiser bounded down the right and pulled the ball back for Ondrej Duda. His first-time effort looked set to trouble Mignolet until Joel Matip was able to deflect it wide for a corner. Then, on 36 minutes, Marvin Plattenhardt’s free-kick had home fans’ hands on their heads when he skimmed the roof of the netting. But, seconds afterwards, Liverpool extended their advantage when Solanke laid the ball off to Mane inside the box. He held it up before teeing up Wijnaldum, who found the bottom corner with a precise shot from the edge of the area. Klopp elected to make five changes at half-time, including a debut for Robertson, but the hosts almost reduced the arrears when Alexander Esswein tested Mignolet with a powerful thump from 10 yards out. At the other end, Robertson’s fizzed delivery across the face of goal was just a touch too far in front of fellow substitute Salah to deny him the opportunity to tap in a third goal. Nevertheless, there was to be no such respite for Hertha on 63 minutes when the summer signing from AS Roma did convert. Coutinho was the creator, bobbing and weaving into space in the left-back area of the pitch before arching a sumptuous ball over the top for Salah to chase. The No.11 allowed it to bounce before gleefully looping over the onrushing Jarstein and into the goal. Roberto Firmino then should have made it 4-0 when Salah slipped him into space inside the left channel of the area, but he scooped over prior to Daniel Sturridge having a low near-post strike thwarted by Jarstein. 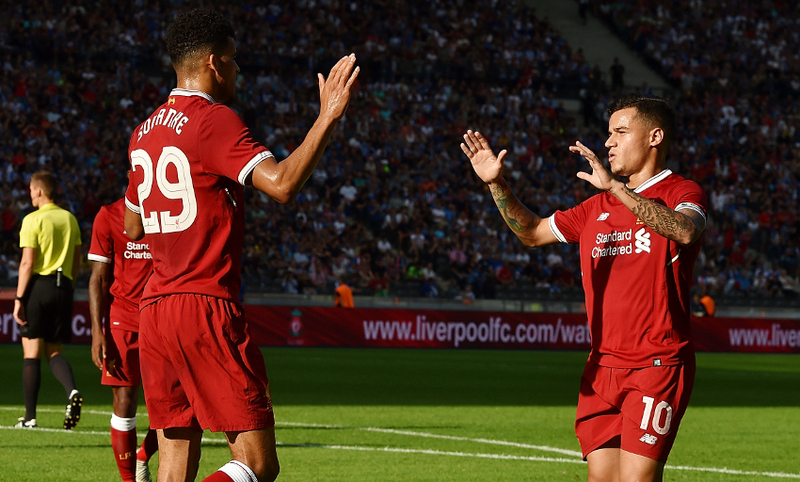 Still, it was ultimately a productive test for Liverpool, who return to their base in Bavaria ahead of the Audi Cup contest with Bayern Munich on Tuesday. Solanke: I just knew Ragnar would be able to pick me out!